The Golden Eagle, Model 421, was older than the 414. 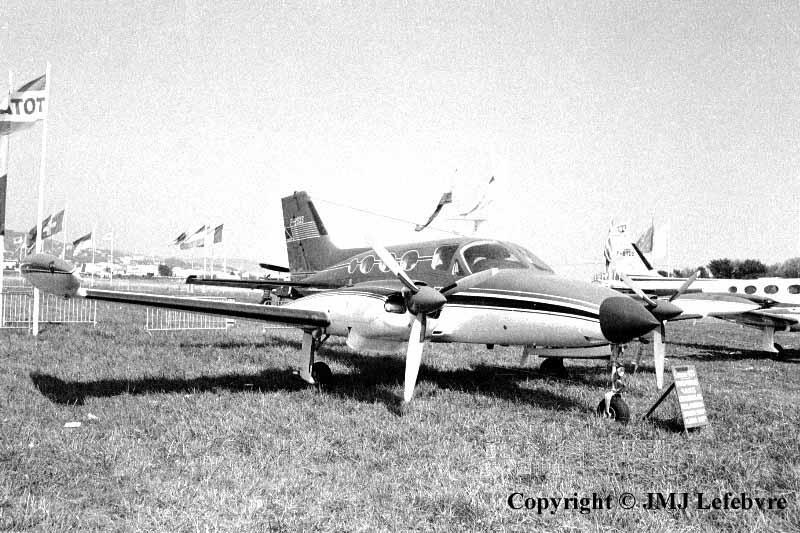 First flown on October 14, 1965, it was the first pressurized Cessna. First deliveries begun during May 1967, a few days after the type got its FAA approval. This aircraft corresponds to Model 421B Golden Eagle III notably fitted with top avionics and a weather radar RDR-160. Service ceiling was 30,000 ft with a cruising speed of about 440 km/h and range in excess of 1,000 nautical miles.